Whistleblower awards for those reporting an employer’s underpayments to the Internal Revenue Service’s (“IRS”) Tax Whistleblower Program can be quite significant. In fact, one tax whistleblower received a $104 million award from the IRS in 2012 for disclosing Swiss tax evasion schemes. However, while whistleblowers may receive large awards, they may also face considerable backlash for revealing an employer’s tax evasion scheme to the IRS tax whistleblower program, which has yet to put in place retaliation protection for tax whistleblowers. 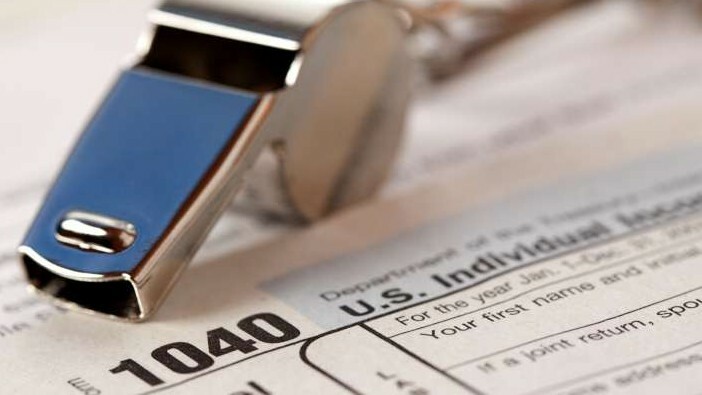 The potential consequences faced by tax whistleblowers have seemed to hamper the IRS Tax Whistleblower program the U.S. Government Accountability Office (“GAO”) recently said in its report to Congress. The GAO argued to Congress that it should act to protect tax whistleblowers from retaliation by employers. The GAO also told Congress that the IRS Tax Whistleblower Program should tidy up its lengthy claims process and clarify for individuals what makes a valid whistleblower claim in order to encourage more whistleblowers to step forward. The IRS Tax Whistleblower Program has said its open to the GAO’s recommendations and that it plans to implement those recommendations shortly. The IRS Tax Whistleblower Program was established by the Tax and Health Care Act of 2006, and processes several thousand whistleblower claims each year. Tax Whistleblower Program claims over the years have allowed the IRS to collect approximately $2 billion in additional tax revenue since 2011 and to further chip away at the $450 billion tax gap, which represents the difference between taxes owed and taxes collected. In order to encourage tax whistleblowers, the IRS mandates that whistleblowers receive at least 15 percent of the proceeds collected as a result of their reporting. Even still, for some potential whistleblowers their vulnerability to retaliation from his or her employer is too much, outweighing any incentive to come forward. In fact, there is no federal law that allows tax whistleblowers to seek relief after being retaliated against for reporting underpayments to the IRS. In light of the lack of federal law, the GAO recommends that Congress put in place retaliation protections, akin to those already in place under the False Claims Act and the Dodd-Frank Act. In addition to the lack of retaliation protections for whistleblowers, the GAO has also said that the lengthy claims process and lack of clarity regarding what makes a valid tax whistleblower claim has dissuaded a number of potential whistleblowers from reporting suspected tax evasion. Less than five percent of whistleblower claims have closed with a whistleblower award in the last two years, the GAO says. Tax Whistleblower Program claims currently take nearly five to seven years to process, with the initial review of those claims divided into three parts: 1) administrative processing; 2) preliminary merits review; and 3) in-depth review by subject-matter experts. There is no time limit for any of the three steps outlined above. Furthermore, if one of the subject-matter experts decides that the case merits a full review, then the IRS will often initiate an examination of the alleged underpaying taxpayer. The alleged underpaying taxpayer can then appeal the examination through the IRS Office of Appeals, which can take between 90 days and one year to complete. The taxpayer can also appeal the examination through the Tax Court, but that is an even longer process. It is only after any appeals are complete and all proceeds are collected that whistleblowers may collect their awards from the Tax Whistleblower Program. Award determination and payment may take up to six additional months. As a result, the GAO has recommended that the Tax Whistleblower Program consolidate its initial review and award determination into one process, as well setting deadlines for each step of the process. The GAO says consolidation will lead to a more expedited process and will ensure that meritless claim do not waste time in the lengthy review process. Whistleblowers and potential whistleblowers alike have griped that their inability to communicate with the IRS regarding their claims is also troubling. Once a whistleblower claim is filed with the Tax Whistleblower Program, the IRS limits its communications with the whistleblower on the grounds that the Internal Revenue Code prohibits unauthorized disclosure of tax information. As it relates to whistleblowers, this means that the IRS will not disclose whether its auditing a taxpayer, but will only tell a whistleblower that their claim is open. While the IRS cannot disclose tax information, the GAO says it can better describe for the public what constitutes a valid whistleblower claim. For example, the agency argues that the IRS should take advantage of its existing regulatory authority to enter into a contract with an individual to share information for the purposes of advancing tax administration. Contracts would not only open up a line of communication, but would also provide the IRS with “free help” in analyzing complex tax issues. The GAO further contends that the Whistleblower Office should include in its annual report to Congress basic data on processing times and reasons why claims were rejected. Inclusion of this information would provide Congress with a better yearly “snapshot” of the whistleblower program and would allow for more improvements. Even though the GAO listed a number of concerns with the IRS Tax Whistleblower Program, Stephen M. Kohn, Executive Director of the National Whistleblowers Center, stated, “the program is staring to work.” According to Kohn, the IRS Program, at its 10-year mark, is performing at higher level than the Department of Justice’s False Claims Act program did over a comparable length of time. “Despite all of the growing pains and delays the IRS program is actually ahead of the comparable program run by the Department of Justice for the False Claims Act cases. The most objective performance indicator for whistleblower reward programs is how much is actually paid to whistleblowers. The IRS is way ahead as the DOJ. It its 10-year mark the IRS paid whistleblowers $103 million. At the FCA’s ten-year mark, DOJ paid whistleblowers a mere $25.8 million. Furthermore, despite DOJ’s 30-year history administering the FCA, the IRS has already given an individual whistleblower the highest award in history,” Kohn noted. In its annual report to Congress, the IRS said that it is implementing several improvements to further strengthen the Whistleblower Program. The IRS’s planned improvements include: pursuing opportunities to reduce the life cycle of whistleblower claims; review of the Whistleblower Office to identify opportunities to maximize the efficiency and effectiveness of the claim process; and to improve communication with whistleblowers, potential whistleblowers and whistleblower attorneys. “This report shows that the IRS Whistleblower Office is focused on doing a better job of processing whistleblower submissions and making awards in a more timely manner – all good news for whistleblowers,” said Dean A. Zerbe, Senior Policy Analyst for the National Whistleblowers Center. If you or someone you know has information about potential tax evasion, please do not hesitate to contact our whistleblower team for a consultation about your right to report that information to the IRS. Potential whistleblowers should be encouraged by the IRS’s efforts to tidy up their whistleblower process, meaning whistleblower awards should be investigated and paid more expeditiously in the future.